First, the appropriate growth rate. The natural distribution of Australian lobsters is subtropical and tropical. Better growth rates can be achieved between 18Â°C â€‹â€‹and 32Â°C. The water temperature in Yangzhou between May and November every year is higher than 18Â°C â€‹â€‹for six and a half months. When the water temperature reaches above 16Â°C, normal growth can begin. In order to make full use of local thermal energy resources, the time for the release of Australian lobsters in Yangzhou area should be scheduled for the beginning of May and the arrest time should be late November. Second, the water quality requirements. 1 Water sources mainly use uncontaminated surface waters such as rivers, rivers, lakes, and reservoirs as the source of water. Groundwater can also be used. Groundwater has the following advantages: It has a fixed independent water source; Wild fish without pathogens. no pollution. The temperature is relatively stable throughout the year. 2 The pH value of the water, in the breeding process, had a minimum value of 6.10, the highest value of 9.33 can survive, but the 6.5-9.0 is better, preferably neutral partial alkali. 3 dissolved oxygen in water, Australian lobster, although resistant to hypoxia, dissolved oxygen below 1 mg / liter, can survive for a short time, but if a long period of low dissolved oxygen, it will affect its growth and survival rate. Therefore, if necessary, an aerator or other oxygen-increasing equipment should be provided in the pond to keep dissolved oxygen above 4 mg/l, avoiding heavy metals, insecticides, herbicides, oil, chlorine, methane, argon sulfide, and high-speed iron. Content and other pollution. 4 The use of micro-flowing water or aquaculture at regular intervals can promote lobster growth. Third, the pond conditions. 1 The pond should be rectangular, but its area is not limited, but it is better to use 2-5 acres with a water depth of 0.9-1.5 meters. The direction of the long axis of the pond should be the same as the summer wind direction. 2 The bottom of the pool is hard soil, and there is no sludge. The slope of the pool wall must be greater than 3:1. 3 The pond should have a good drainage and irrigation system. The upper part of the pond should be filled with water, and the other end of the pool should be drained. The water inlet and outlet must be protected from enemy fire and escape from the net. 4 The bottom of the pond should have a submerged plant area of â€‹â€‹about 1/5 of the bottom area, and there are enough artificial concealed objects, such as waste tires, mesh sheets, PVC pipes, waste tile cylinders, bamboo rafts and so on. 5 Conditional ponds can be equipped with aerators. Fourth, stocking technology and daily management. 1 Density: Put 2-3 pounds of juvenile shrimp per acre, which can be mixed with 100 bastards, 50 calyxes, and 50 grass carp. 2 Microfluidics or refilling with 2-3 new waters per week. 3 The feeding should be fixed, timed, fixed, and quantitative. Feeding species should be diversified as much as possible: such as water hyacinths, water lettuces, floating celery and other aquatic plants, cow dung, pig dung and artificial pellet feed. Can also be fed with snails, cockroaches, river clams and other animal dips. Feeding once a week the cow's manure, 100 kilograms per acre, placed in the four corners of the pond, all submerged into the water, feed pellet feed once a day, the amount of 20% of the shrimp weight can be administered at 6 o'clock in the evening. 4 During the summer high temperature period, attention should be paid to increasing the amount of water flow or water injection, and the number of water injections. At night, aerators may be used to increase oxygen. 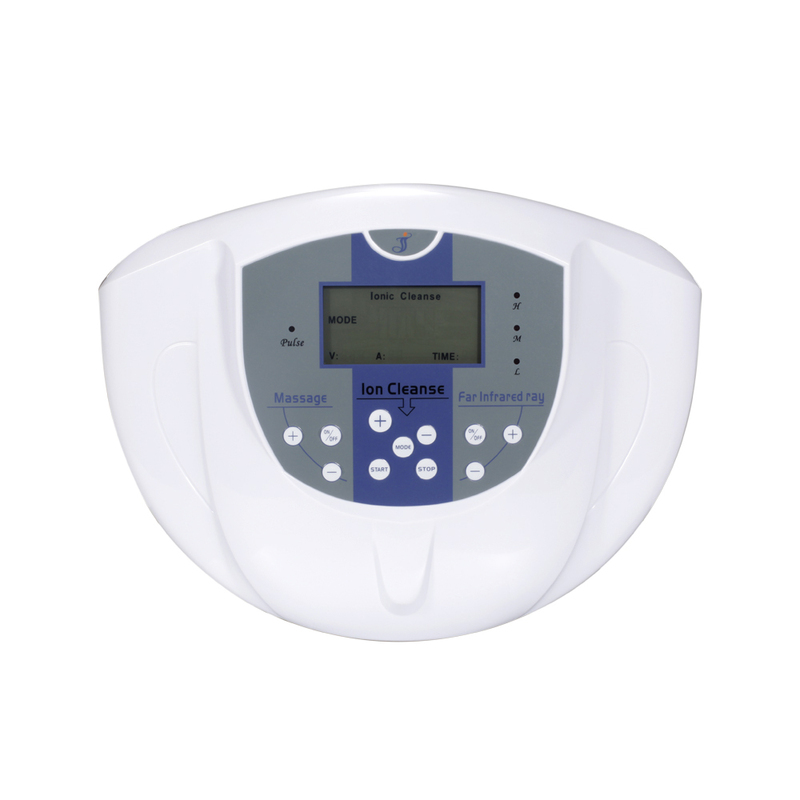 The Ion detox foot bath process is an amazing cleansing method for detoxifying your entire body by bathing your feet in warm water while using positive and negative ions from an ion generator-the array. The process is also known as electrolysis. The array element is the actual ion generator device that sits down into the water and creates the ion charge and flow within that solution. It attaches to the power supply, which controls the array element ion flow and change. 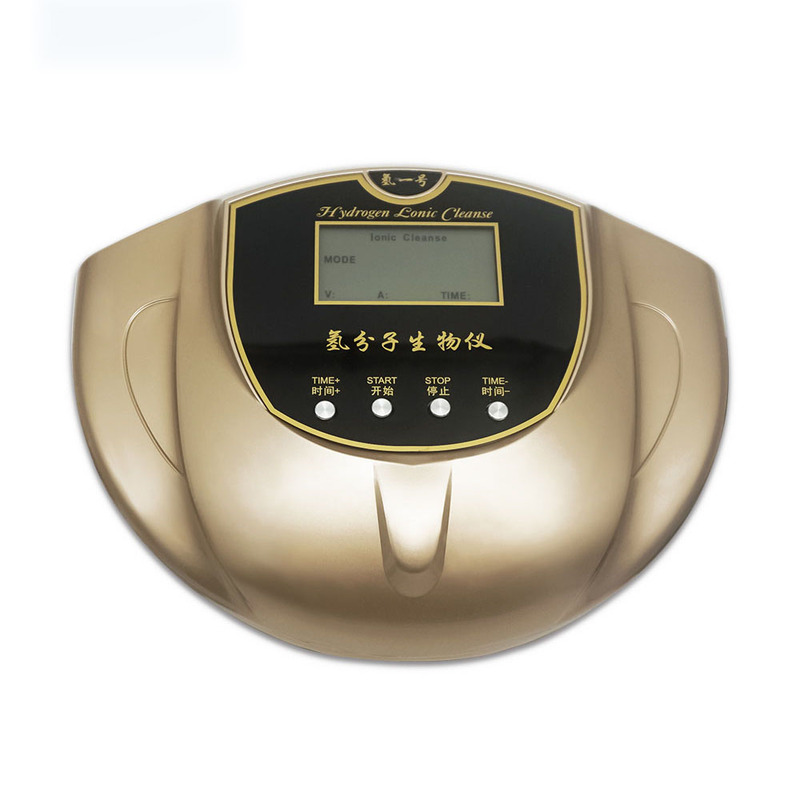 Hydrogen molecular bio-meter using water electrolysis to generate rich hydrogen, because the molecular weight of hydrogen is very small, strong permeability, diffusion speed is extremely fast, the skin is very easy to absorb. The skin is the body`s largest organ, the ability to absorb hydrogen is very large, the absorption of hydrogen can be transported through the skin`s blood to the body to play the role of Health Care.